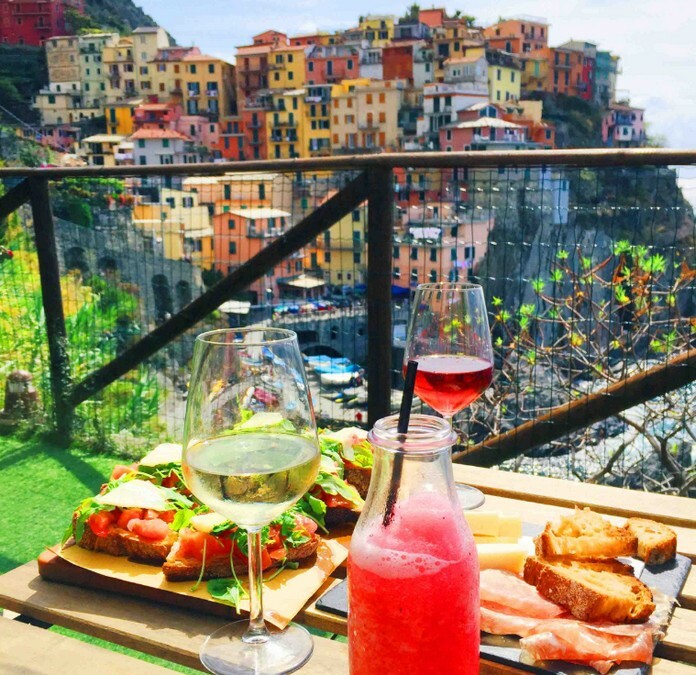 At the top you can see the fantastic drink that you can enjoy at “Nessun Dorma in Manarola” a local dream to peak of the Cinque Terre. A wine bar where you can taste the Liguria. Breathtaking scenery on the sea Manarola, Cocktail, cutting boards and bruschetta with products at zero km.